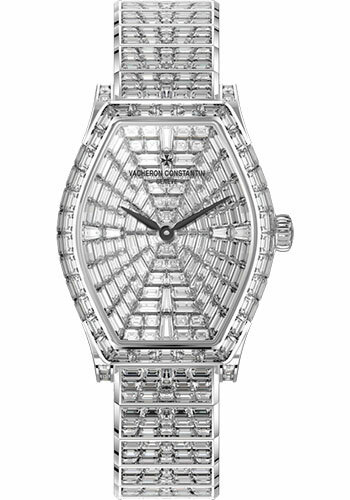 29.29 x 39.58 18K white gold case set with 742 diamonds, 8.83 mm thick, transparent sapphire back, baguette-diamond paved dial, Caliber 1400 manual-winding movement with hours, minutes, approximately 40 hours of power reserve, 18K white gold strap, polished/Satin-finished bracelet. Water resistant to 3 bar. delivered with a magnifying glass.